Good. 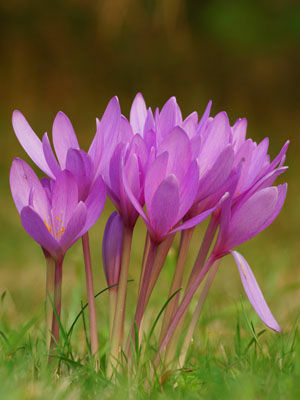 Autumn-blooming colchicums (C. autumnale) are hardy to -32C (-25F). Fertilise with a balanced organic fertiliser in spring, when new growth appears. Colchicums make their green growth in spring, so they work well when grown with daffodils and other spring-flowering bulbs. Flowers emerge in autumn on bare stems. Set out bulbs from mid to late summer, while they are dormant. Cover the bulbs with 8cm (3in inches) of soil. Colchicum bulbs are expensive, but will persist for years in good locations. Colours include pink, white and lavender.